Gosh! It's complicated. Hope it helps. 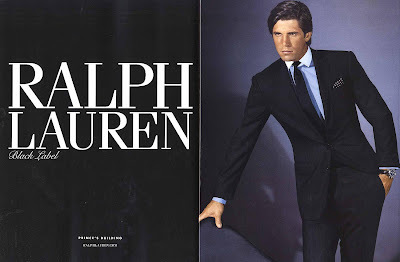 In 1967, Ralph Lauren establishes the Polo label with an instantly successful line of ties. In direct opposition to the narrow ties and conventional styles of the time, Lauren designs wide, handmade ties using unexpected, flamboyant, opulent materials. The ties quickly become a menswear status item. 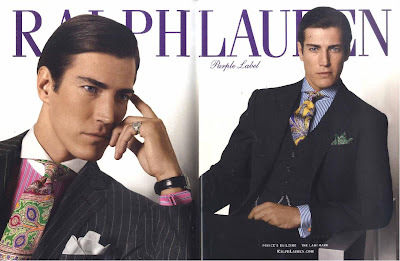 Ralph Lauren Purple Label (in the classic British style) is the highest end men's fashion from Ralph Lauren. It includes ready-to-wear suits and sportcoats (made by St. Andrews and Cantarelli), dress shirts, sportswear, accessories, and footwear, as well as a collection of made-to-order suits, sportcoats, shoes (made by British company Edward Green), dress shirts, exotic skin luggage, small leather goods, and jewelry. 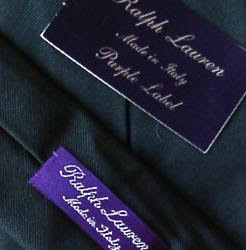 Ralph Lauren Collection is the highest end women's clothing line from Ralph Lauren (which also carries a purple tag), as seen in his runway shows. The collection includes classic eveningwear, tailored blazers, outerwear, sportswear, handbags, and accessories. Black Label for men tends to have a more modern, Italian cut to its suits, sportcoats (made by Raffaele Caruso), dress shirts, and sportswear, with higher armholes and a slimmer silhouette. Black Label for women is an extension of the Collection line. It is modern, high-end casual and semi-formal women's wear. 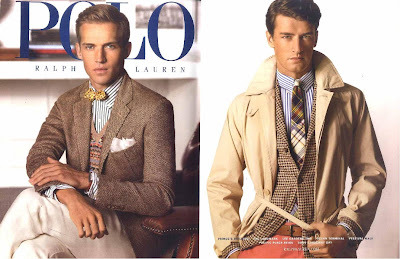 Polo Ralph Lauren is the most widely available men's collection from Ralph Lauren. This 'blue label' line is the first collection from Ralph Lauren. It spans from tailored clothing (ready-to-wear and made to measure), sportswear, accessories (including luggage) to small leather goods. 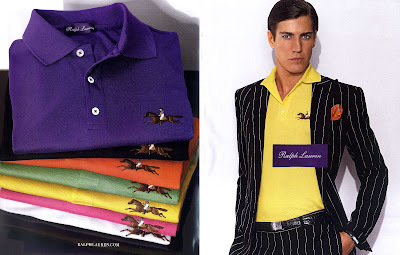 Similar in price point and styling to the Polo Ralph Lauren (the men's line). It has the classic American styling. 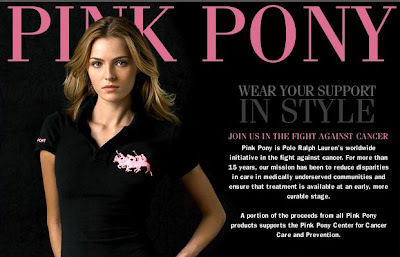 Knit polo-style shirts with the Polo pony are part of the Blue Label line. Basics and suiting for men (which is divided into Green and Silver). Less pricey versions of Blue Label styles for ladies. Ralph by Ralph Lauren, Ralph Lauren Golf (women), Polo Golf (men), Polo Jeans Co., Polo Denim, Lauren Jeans Co. (women), Polo Sport (discounted), RLX, RRL (pronounced as "Double-R L"), Ralph Lauren Children, Ralph Lauren Home (home decor), Lauren Home (home decor), Ralph (home decor), Ralph Lauren Paint (home decor), etc.